An amazing range of Voices and Styles from around the world, versatile joystick controller, and a powerful custom scale tuning function make this keyboard everything you want in a live performance tool. 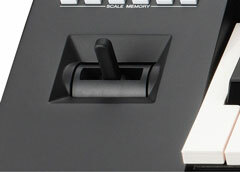 Based on Yamaha's top-of-the-line PSR-S series keyboards, the new PSR-A2000 provides the kind of flexibility you would expect from a great instrument. 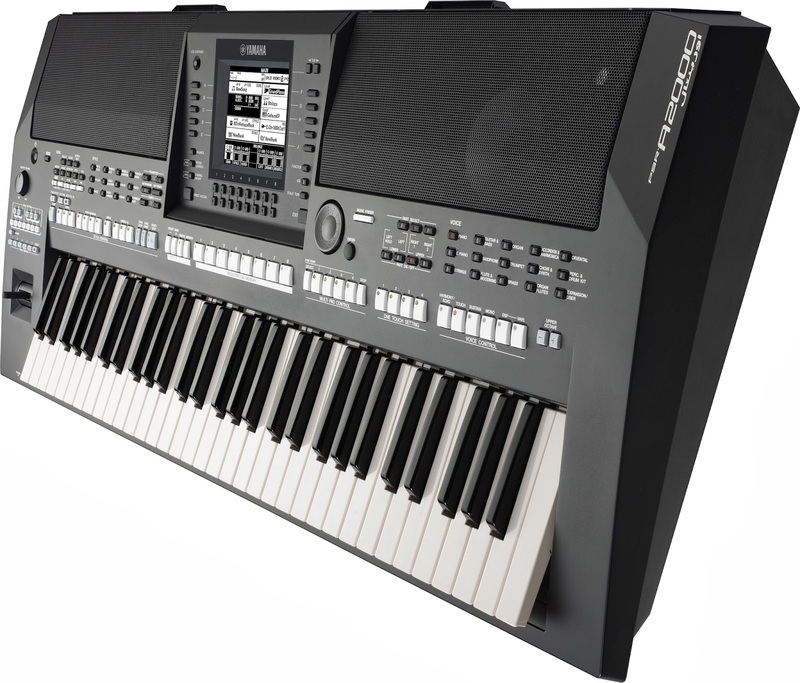 With an optimized user interface and a wealth of new functions and Voices, the PSR-A2000 promises to satisfy the needs and requirements of performers in a wide range of genres. With a sonic palette featuring Arabic, Maghreb, Khaligi, Iranian, Turkish and Greek styles, the PSR-A2000 can also be expanded to offer a variety of new Voices and Styles.*. Of particular note is the Arabic expansion (available soon), which fills the built-in 64 megabyte FlashROM with Arabic Styles and Voices that can be combined with onboard Voices for an incredible 128 megabytes of ethnic sounds. Full-blown scale tuning functions support any type of tuning, including authentic scales from around the world that lend realism to your performance. These superb sonic capabilities are matched by intuitive joystick-based pitch and modulation control for a truly dynamic performance. Expand your musical horizons with an array of stunning new voices and styles. The PSR-A2000 offers a huge amount of onboard content, providing an incredibly diverse sonic palette that features an impressive 1078 voices and 351 styles, including Arabic, Maghreb, Khaligi, Iranian, Turkish and Greek styles. Offering precise, intuitive control of both pitch, modulation plus another controller parameter like filter cutoff, the joystick controller adds a new dimension to your expressive capabilities. Now you can play with rapid trills, dynamic pitch bends, and finely-nuanced modulation —— all from a single, easily-configured controller. Create your own mixes using your choice of Voices, Styles, and the internal sequencer, and record them directly to a USB thumb drive as an audio file. The USB Audio Recording / Playback function lets you effortlessly prepare material for playback on your PC, sharing over the internet, or burning to a CD. The PSR-A2000 comes equipped Real time Scale Setting function allowing you to raise or lower the pitch of specific notes to create your own scales. With the Scale Memory buttons, user scale presets are recalled in real time. Scale Reset function lets you reset the scale quickly and easily during live performance. An improved Master EQ and better sound generation capabilities take the PSR-A2000 to a new level of sonic excellence. A powerful bottom end is complemented by superb mids and highs for stunning reproduction of all instrument sounds, particularly the percussion so crucial to Arabic music. What’s more, the PSR-A2000 features upgraded speakers that offer outstanding tone and distortion free sound even when driven to the limits of their capabilities. Use the USB TO DEVICE to save or load instrument settings and user songs you have created to a USB flash memory device inserted into the USB TO DEVICE terminal. You can also read data from USB flash memory devices. Featuring multiple samples across the keyboard with sophisticated velocity switching, MegaVoice technology offers incredibly authentic instrument sounds. MegaVoices contain not only basic samples of instruments, but also the performance techniques used with them. On a guitar, for instance, players will hear open and mute strings sounds, dead notes, hammering effects, slide effects, harmonics, and a wide range of strum and body noises. In technical terms, MegaVoices duplicate instruments’ behavior; in sonic terms, they give the keyboard stunningly realistic sounds.